1. International Relations and Foreign Policy in 1900-2000. – Kyiv, 2001 (in co-authorship) (in Ukrainian). 2. Modern History of European Nations and the U.S. 1870-1918: Text-book for History Department students / B.Gonchar, N.Gorodnia. – Kyiv University publishers, 2008. – 413 pages. (in Ukrainian). 3. World History. – Kyiv, 1999, 2002, 2007 (in co-authorship) (in Ukrainian). 4. Modern History. Part 2. Late 18th – early 20th century: Text-book for the 9th class students (in co-authorship) (in Ukrainian). Professor Gonchar consulted two Ph.D. dissertations (doctor nauk) (N.L.Yakovenko and O.P.Mashevskyi) and above 20 Ph.D. dissertations (kandydat nauk). He is a member of several scientific journals editorial boards. In 1998-2001 he was a member of VAK (Supreme Certification Commission of Ukraine) council of experts. 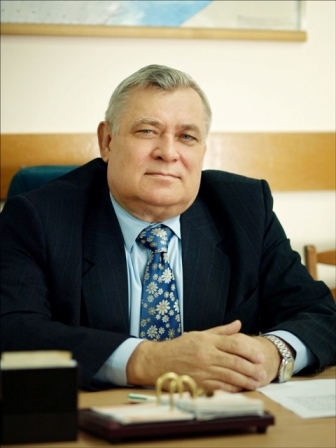 In 1999 and 2004 he was honored by government rewards for his personal contribution to Ukrainian university education.